Former doctor Amit Patel was left struggling to find anything to hold onto as his guide dog ‘slid’ around the wet floor of carriage. A blind train passenger was reduced to tears when commuters refused to give up a seat to him in the designated disabled section. 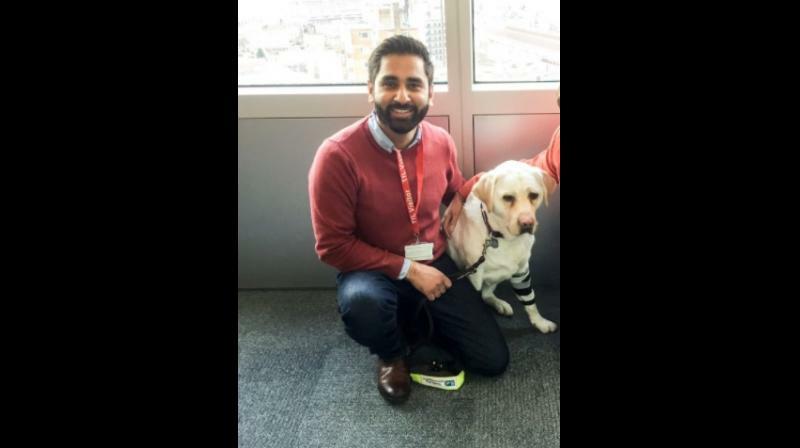 Former doctor Amit Patel told how he was left struggling to find anything to hold onto as his guide dog Kida ‘slid’ around the wet floor of the crowded carriage. The 37-year-old described the experience on a Southeastern service to Waterloo East on Tuesday as “humiliating”. Taking to Twitter, Patel wrote, “People can be so selfish, they pretend they can’t see or hear when I ask if there’s a seat available. According to Amit, he intentionally boarded the first carriage of the train, where he knew there was a disability priority section. He then asked Kika to find him a seat, but his request was ignored by passengers. Patel added that Kika was then forced to spend the 25-minute journey from New Eltham sitting on her back paws as she couldn’t lie down because the floor was too wet. Furthermore, the dog got her tail trodden on repeatedly.